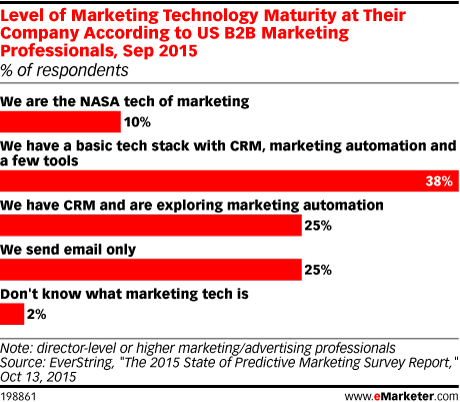 Data is from the October 2015 EverString "2015 State of Predictive Marketing Survey Report." 527 US senior B2B marketing professionals were surveyed during August-September 2015. Respondents came from various company sizes, ranging from small to large. Their job titles were director-level or higher marketing and advertising professionals. EverString is a predictive analytics software company.